Dear Anon: My sincere condolences to you on your loss. It’s a real struggle when a loved one develops Alzheimer’s; I applaud you for being concerned about your own cognitive function. I know that you’re not alone in your concerns; the class that I offer on this topic fills up each time it’s offered. There is good news – you are not a helpless victim without options. There is MUCH you can do to lower your risk. But first let’s take a look at the Alzheimer’s gene. Back in the 1990’s, the ApoE4 gene was discovered to be a major player in the susceptibility of Alzheimer’s. The ApoE4 gene is the principal carrier of cholesterol in the brain. If someone inherits the gene from either parent, their risk of getting the disease triples (this affects about 15% of the U.S. population). If someone inherits the gene from both parents, their risk increases nine-fold (this affects about 1 in 50 people). To date, the people in Nigeria have the highest frequency of the ApoE4 gene in the world. Yet they have some of the LOWEST rates of Alzheimer’s. This paradox is explained by the grain and vegetable diet of the Nigerians, which results in low cholesterol levels that have appeared to trump their genes. 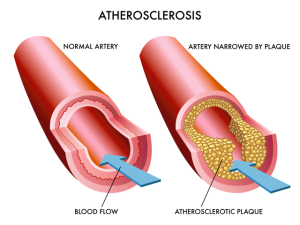 Cholesterol encourages the production of beta-amyloid (plaques that lie between brain cells). People who have the ApoE4 gene absorb cholesterol more easily from their digestive tracts compared with people who don’t have the gene. They tend to have higher cholesterol levels and higher risk of both heart disease and stroke. In a 20-year study of 1,000 people, researchers reported in the Annals of Internal Medicine Journal that having the ApoE4 gene doubled the odds of Alzheimer’s, but high cholesterol nearly tripled the threat. 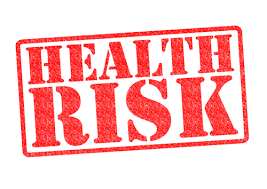 So if the greatest threat of Alzheimer’s are treatable factors – such as high cholesterol and blood pressure – then controlling these lifestyle factors could reduce a person’s risk, even if they have the DOUBLE ApoE4 gene (the odds decrease from 9x down to 2x). This is great news for anyone concerned not only about their brain health, but heart disease and stroke as well. Another study of 9844 people Kaiser Permanent subscribers in California showed that a high cholesterol level in midlife (early 40’s) predicted their Alzheimer risk twenty to thirty years later. 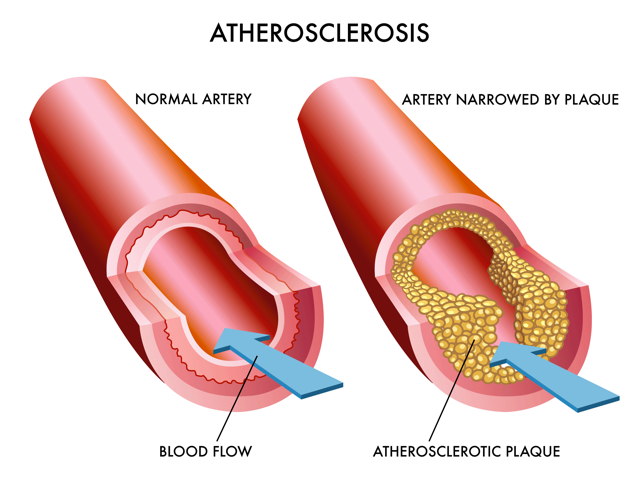 If your cholesterol is around 220, your Alzheimer risk is about 25% higher. And if your cholesterol is in the 250 range or higher, your likelihood of developing the disease would be about 50% higher. What’s the best way to lower your cholesterol and blood pressure? Diet trumps all. Cholesterol is only found in animal foods – meat, fish, dairy, eggs – and so lowering or eliminating the intake of meat and dairy is crucial. Don’t be fooled by believing that chicken and fish are healthier – they contain as much cholesterol as beef. Enjoy a diet which focuses on beans, potatoes, rice, corn, pasta, vegetables, fruits, nuts and seeds. It’s not rabbit food – but delicious entrees of lasagna, burritos, stews, tamale casseroles, burgers, stir frys, cheesy soups, sloppy joes and much more. 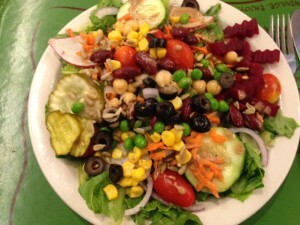 A plant-centered diet is not a restriction – but a gift! I continually urge people to lower cholesterol through food, not statins (which have terrible side effects and only lower risk of cardiovascular events by 1.6%). Should you get tested for the gene? Doctors can check which ApoE genes you are carrying with a simple blood test, and some people are eager to find out as much as possible about themselves. A negative reading could put their minds at rest. On the other hand, there’s nothing you can do to change your genes, but you can do much to reduce the risk of their expression. If you discover you have the gene, how will that affect you mentally? Only you can determine if testing is right for you. Not having the gene does not guarantee freedom from Alzheimer’s; just as having the gene does not guarantee you’ll develop the disease. The Nigerians are a good example. Remember that genetics load the gun, but lifestyle typically pulls the trigger. If you’d like to be notified of our classes or if you have a question, please contact me through www.cydnotter.com. (Sources: Dr. N. Barnard Power Foods for the Brain; Dr. M. Greger, NutritionFacts.org: The Alzheimer Gene: Controlling ApoeE). Coconut Oil – Miracle Food or Marketing Hype? By January 2006, food companies were required to clearly state on their labels the amount of trans fat in packaged foods. Knowing that consumers would begin avoiding the consumption of foods containing trans-fat, many of them have replaced trans-fat with palm oil, coconut oil and other tropical oils. This does not represent an improvement in these packaged foods and they should still be avoided. Tropical oils are saturated fats… the type that raises cholesterol levels, clogs arteries and increases the risk of many degenerative diseases, including heart disease. Coconut oil is 100% pure fat, 92% of which is saturated (which means that it is more saturated than butter or lard). Coconut oil will elevate cholesterol levels more than any other fat because it is so saturated. Coconut oil has been recommended by many in the health industry as being healthy, but this recommendation is based on faulty science. Proponents state that coconut oil is made up of medium chain fatty acids, which are metabolized differently than long-chain fatty acids. 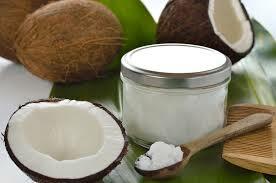 Like much faulty health advice, there is some truth to the statement ; but only a small portion of coconut oil is made from medium chain fatty acids, while the majority of the fatty acids in coconut oil are long-chain fatty acids, such as lauric, myristic and palmitic acids. These long-chain fatty acids have a deleterious effect on health. Advocates continue to refer to Polynesians who consume a diet containing lots of tropical oils, since they have lower rates of heart disease than Americans. As is often the case, this information is also taken out of context. When evaluating the dietary and lifestyle patterns of populations and their effects on health outcomes, it is important to evaluate the totality of the diet and lifestyle, rather than one component, to get an accurate picture of cause and effect. Polynesians do have lower rates of LDL cholesterol levels than Americans. However, they consume a diet very high in fiber, they consume more Omega-3 fats than the average American, and their diet contains very little sodium. Additionally, almost none of them smoke and they are generally quite physically active. It’s likely that the combination of these factors is responsible for their health outcomes, not simply the consumption of coconut oil. Like so much of the health information distributed today, health benefits from coconut oil are a myth. Oils are not health foods, since they are concentrated fat and calories, and coconut oil is one of the worst. In my opinion, it is dangerous for an individual already consuming a less than optimal diet with too much fat to add coconut oil to the diet.